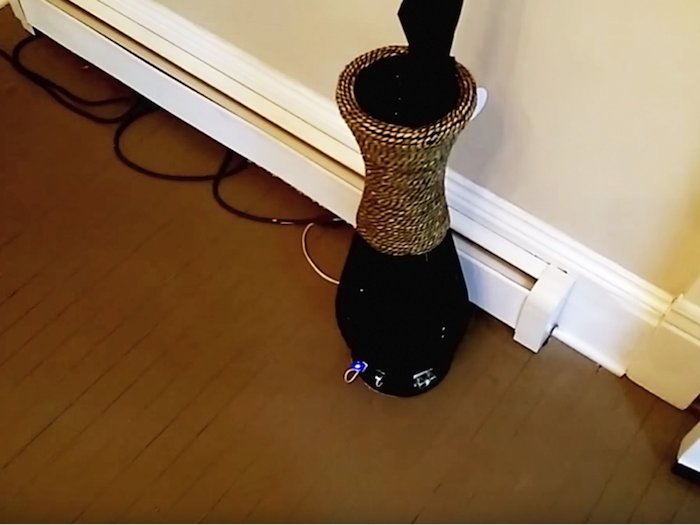 Smart umbrella stand made with Raspberry Pi #piday #raspberrypi @Raspberry_Pi « Adafruit Industries – Makers, hackers, artists, designers and engineers! …It seems like I’m always running late in the morning and I never have time to check the weather. I rush out the door and never know if I’ll need an umbrella. So one of my raspberry pi projects I have been planning is to make a smart umbrella stand that will check the weather for me and notify me if it is going to rain. Using a weather station API developer key, a python script will poll the weather station in my town and return a query result for the % chance of rain. If that result is outside my threshold of tolerance than a LED light will blink on the umbrella stand and give me an audio notification when I pass by, if I need to grab the umbrella before leaving the house.